Combine cranberries, pecans, brown sugar, cinnamon and nutmeg. Put aside. 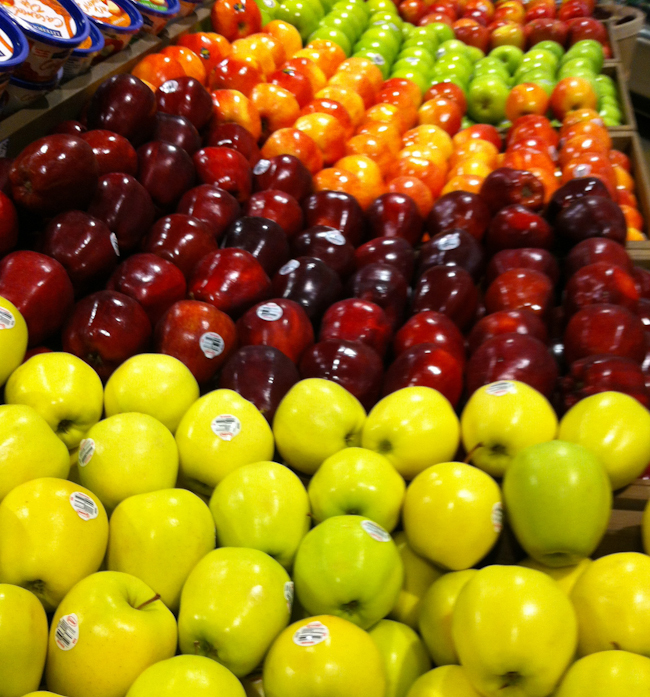 Core apples. Do not go all the through. Place apples in a baking dish right side up. Fill apples with cranberry mixture (optional; reserve small portion of cranberry mixture to top baked apples). Place a pat of butter on each apple hole. Drizzle each apple with maple syrup. Pour apple cider into baking dish. Bake, uncovered, at 350 degrees F for 45-50 minutes or until apples are tender. 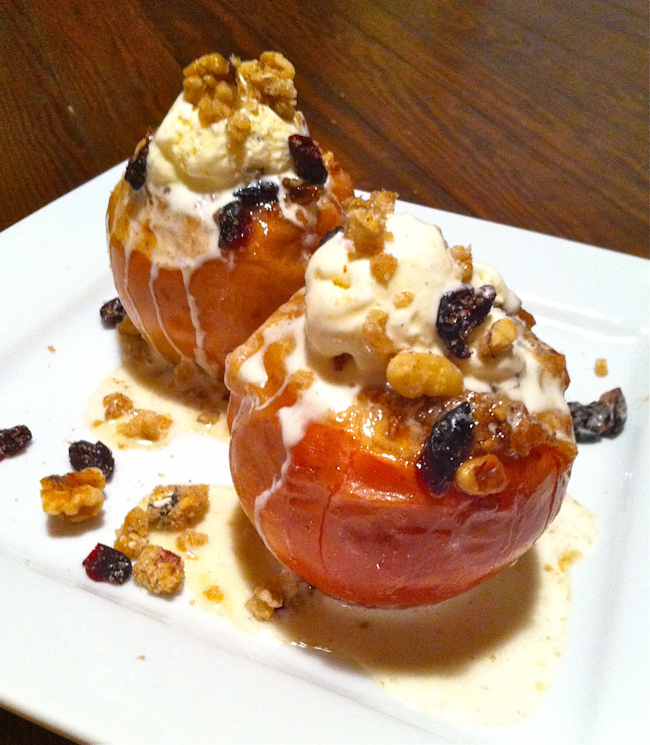 Top baked apples with butter pecan ice cream and reserved cranberry mixture.